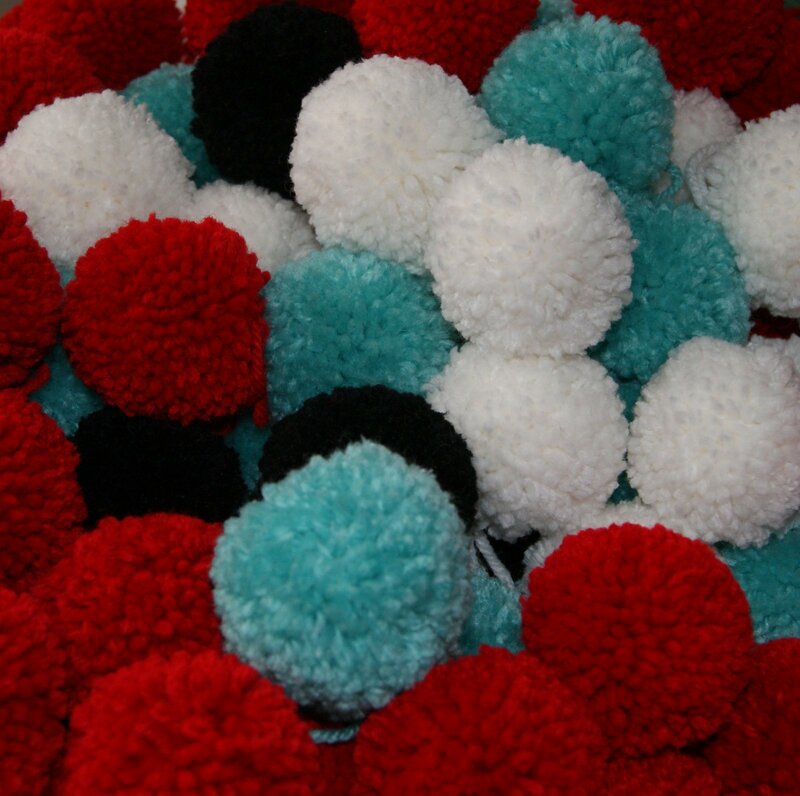 I just completed a big order for a customer who purchased 100 2″ pompoms!! I used the Clover pompom maker and had great success. 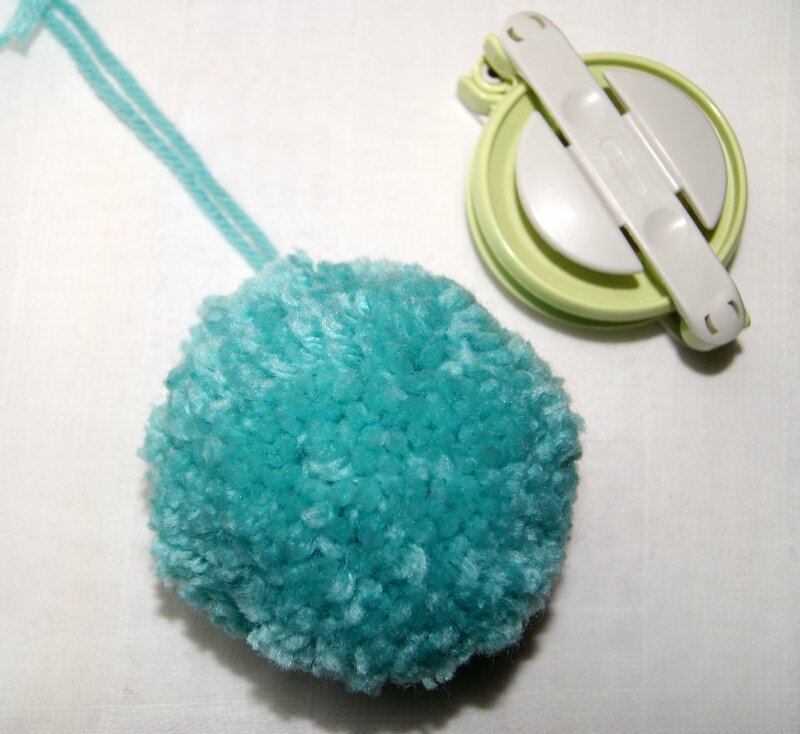 I know there are several types of pompom makers out there from different manufacturers, Lion Brand, Susan Bates, etc. plus what you can use at home from a cardboard circle, fork tines, your fingers and so on but, I thought I would share with you my technique that I used with the Clover brand. My tutorial is done with pictures so I hope you can follow along without any problems. 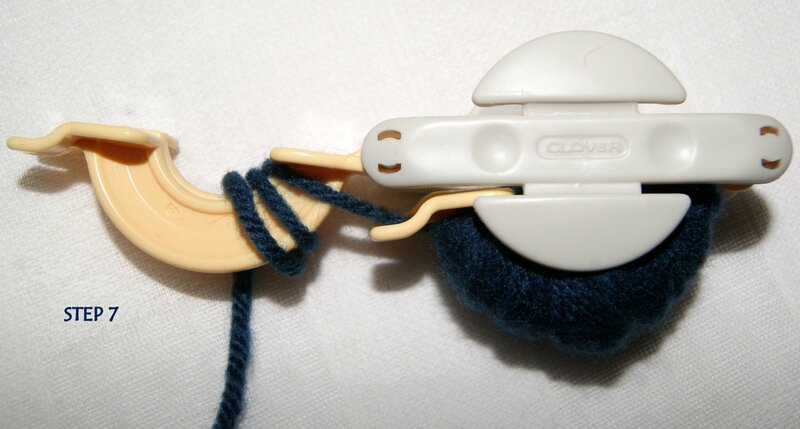 Also, please keep in mind that I am left-handed so how I make a pompom will be in reverse for a right-handed person. The pictures are pretty self-explanatory and have been numbered as steps so you can follow along easily. As you can see, I begin by opening only one half of the pompom maker and place my yarn tail on top of the first two arches. 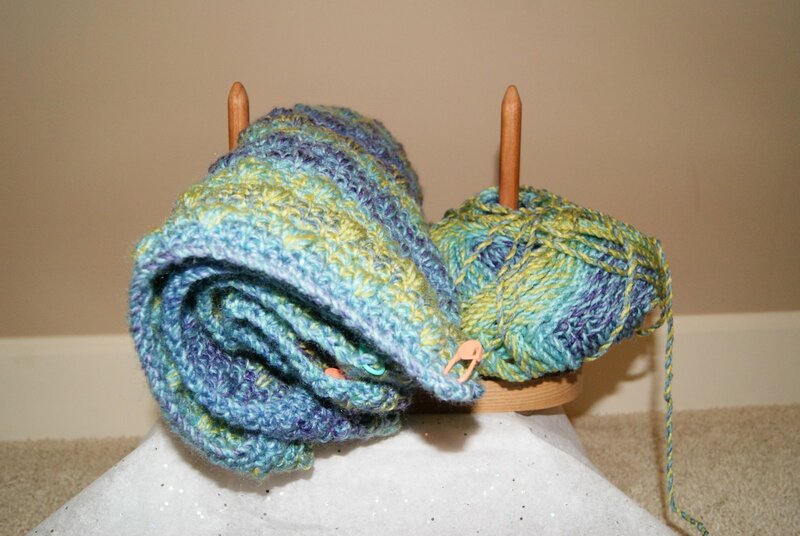 I wind my yarn snuggly over top of the yarn tail and I slid the first few wraps up to the edge of the arch. Continue wrapping snuggly all along the arch and I fill it completely level ending with the yarn at the outside edge of the arch. 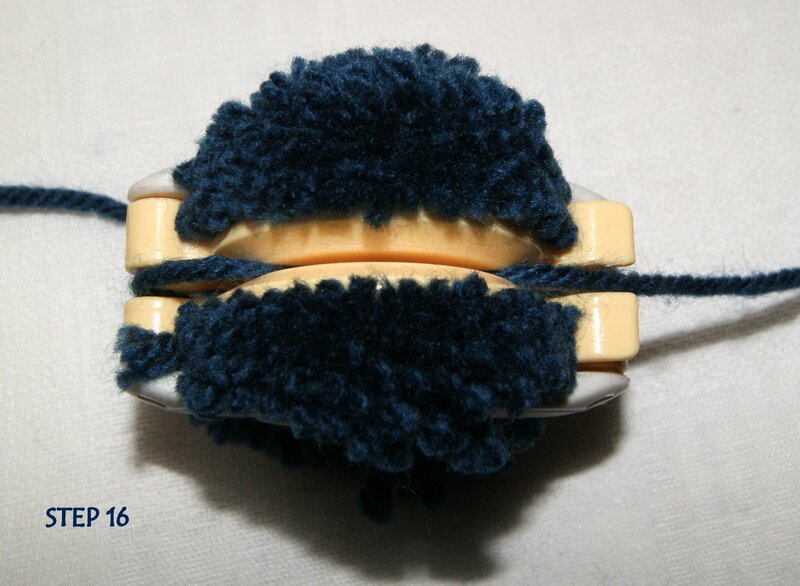 Then I insert the yarn between the two arch pieces, close it and insert the yarn between the two arch pieces on the other side. 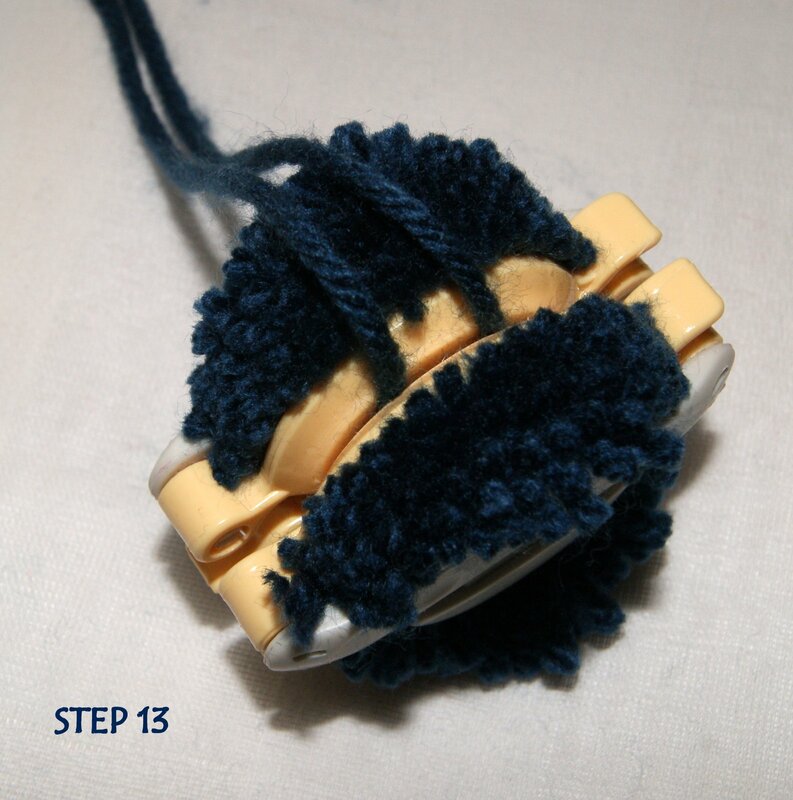 Don’t pull the yarn too tight at this step because you want to have some slack for the finishing steps. Begin wrapping the second set of arches in the same manner as the first set. I again wrap my yarn snuggly around the second set of arches making it level. I end the yarn in the center of the arch and cut if free from my skein. Now I use a pair of very sharp, narrow bladed scrapbooking style scissors. I first insert the points of the scissors between the arches where I carried over my yarn from one side to the other side and cut that piece of yarn in half. 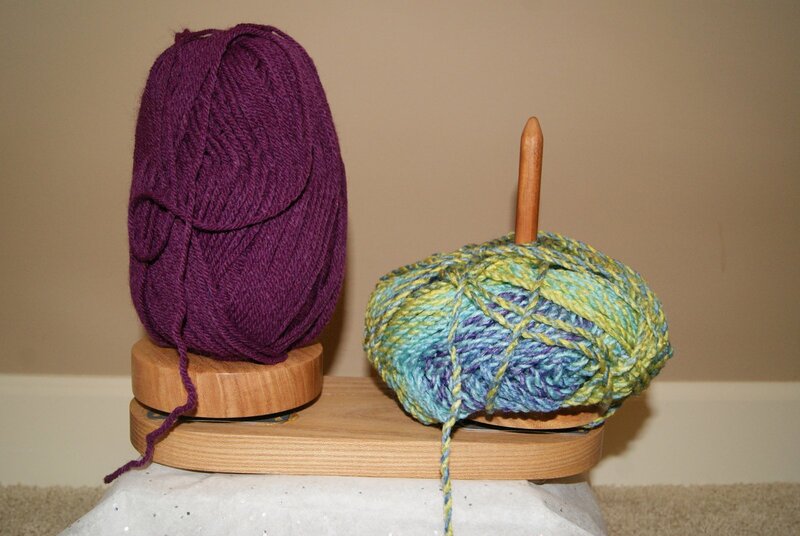 Now I begin cutting the yarn from the rounded ends while holding down the lift ends the whole time I am cutting. Be very careful that you don’t snip your fingers when you get close to the end. 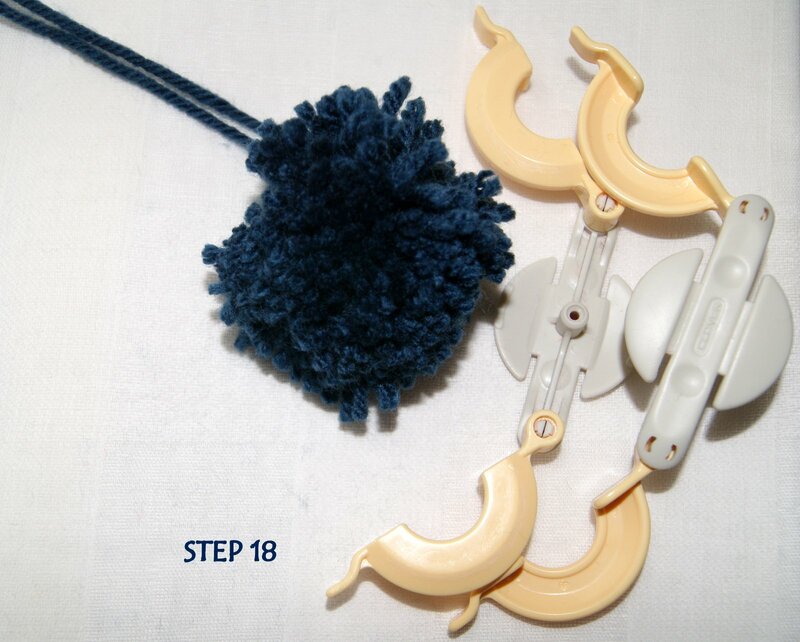 You want to make sure too that the pompom maker DOESN’T COME APART especially when you begin cutting your arches!!! 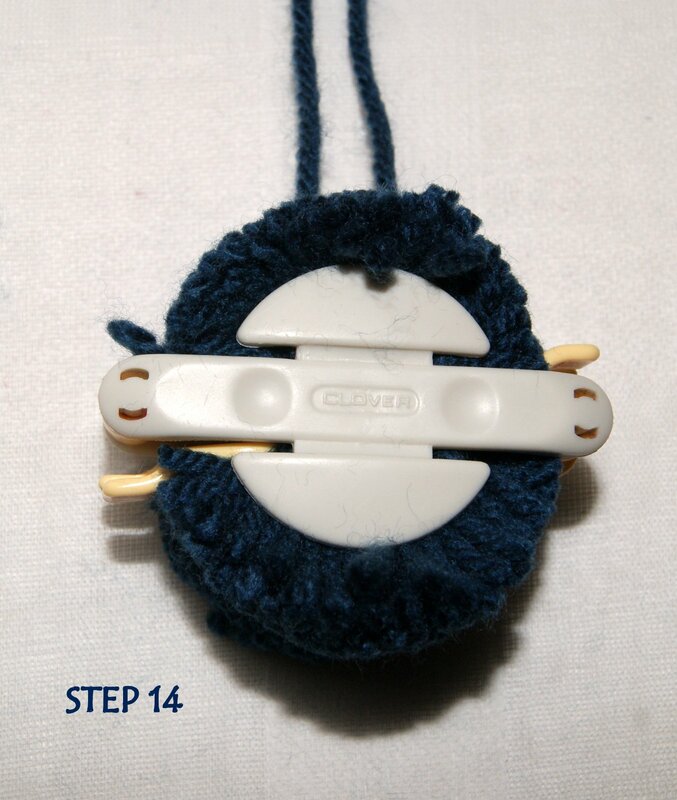 Now you are ready to tie all your little pompom threads together by slipping a thread between those two arches. I like to cut my tying thread about 18″-20″ long. Slip it between the two arches and give it a good tug. You want to feel that the yarn thread has pulled securely through the arches and it can’t move anymore. 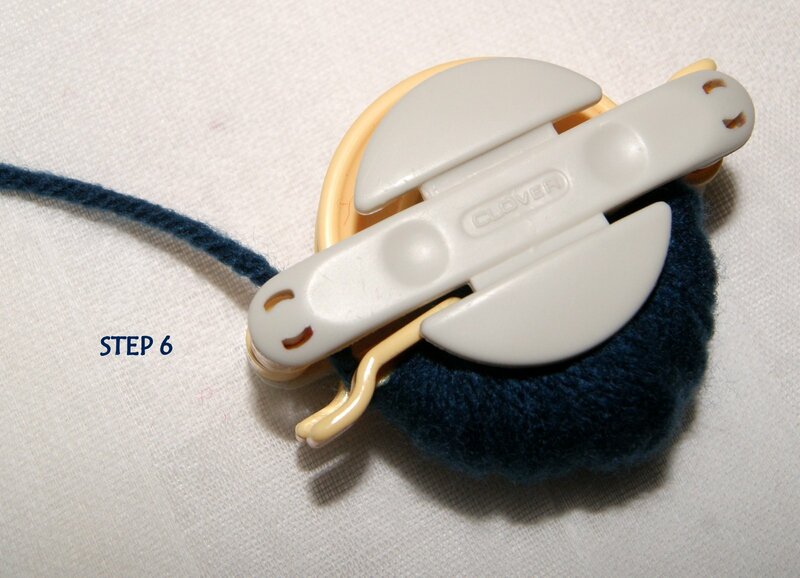 Now do a square knot which will create a strong and secure knot to keep your pompom together. Also, when you pull on your tied threads, pull securely so that knot goes down between the arches tightly. HOW TO DO A SQUARE KNOT: A square knot is basically taking the right thread and placing it over the left thread, make a tie and pull tightly. 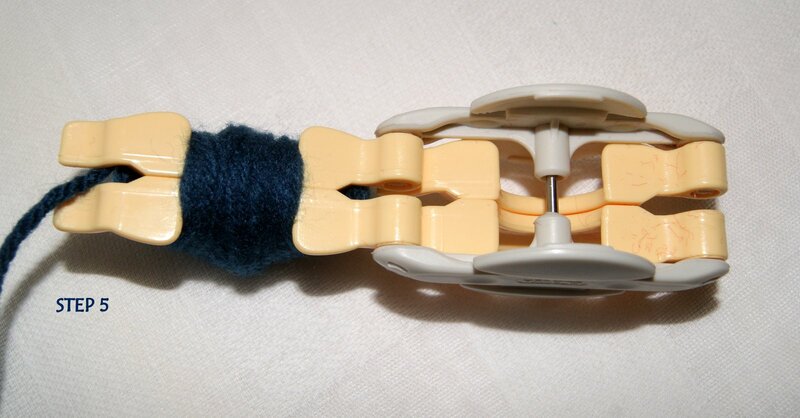 Then take the left thread and placing it over the right thread, make a tie and pull tightly. Or the opposite way, left over right and then right over left. 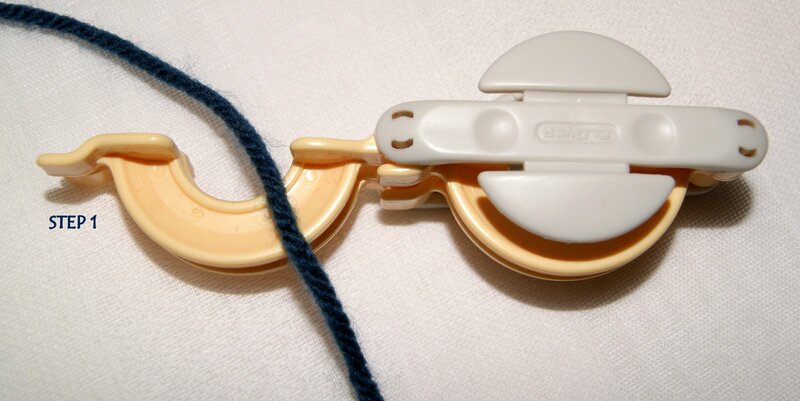 Once you have completed your square knot, you can remove the pompom tool. 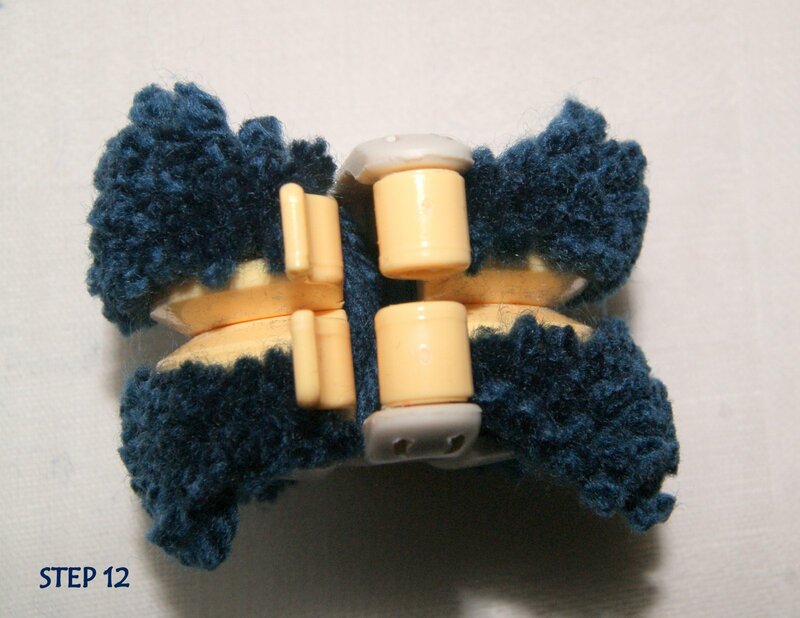 Just lift each arch piece and pull your spools apart and your pompom will just pop out. A little raggedly looking at this point, just needs a shaping trim. 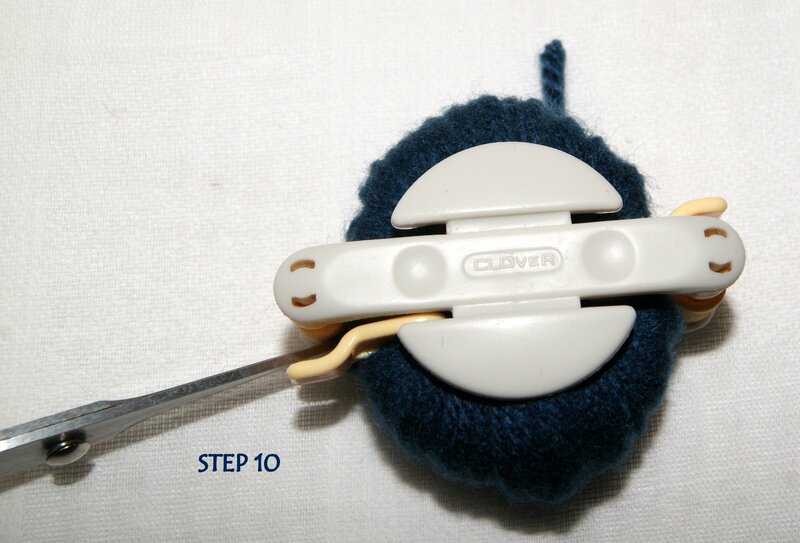 To shape the pompom, I like to use just the tips of my good fabric cutting scissors which are really sharp and will give a clean, crisp cut. 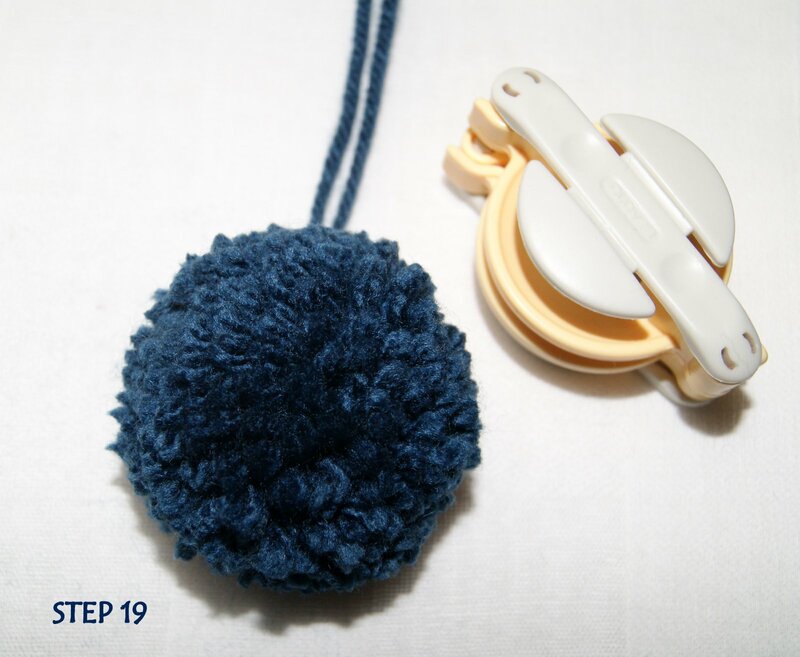 A tip I like to do is to hold the pompom at the very top of the thread tie and look down on top of the pompom itself so that I can see the circle being created. Turn it upside down too and look at it from the bottom up to see your circle shape. Helps with your trimming procedure. Give it a good hard shake to help remove some of the trimming wispys and you are ready to do creative things with your cute pompom!!!! I have just rediscovered this crochet technique and am making some very nice warm scarves using the Tunisian simple stitch or the Crochet Afghan stitch. I had made a baby blanket many moons ago for a friend of mine when we were all in that stage of our lives. I remember it turning out really, really cute but never found another pattern and the hook just went to the bottom of my crochet bag never to see the light of day until recently. I read a blog about how to do the Tunisian simple stitch on one of my favorite sites, Miss Abigail’s Hope Chest, and remembered the blanket and thought it might be a good stitch to create some warm scarves to give as Christmas gifts. The one thing that I really like about the stitch is that it is like a waffle/woven design and you kind of get a double thickness with your finished project. You just have to learn to hold your hook a little differently. I did find my original size J hook after much rummaging around. It is about 10″ long with a built-in stopper at one end and the crochet hook at the other end. I use an overhand grip with my right hand, hold the work with my left, and when making my stitches I hold the hook sort of loosely so that I can rotate it within the palm of my hand. It was a little awkward at first but within a couple of rows a rhythm of slightly spinning the hook as you make your stitches came naturally. The pattern is basically yarning over through vertical stitches, keeping all your stitches on the needle, DO NOT TURN, and then coming back through those stitches by yarning over and going through 2 loops on the needle so at the end of that row you only have one loop on the hook. Then repeat those two rows again and again. I want to explore more about this technique and learn different stitches but for now I am really liking how my scarves are turning out crocheting the Tunisian simple stitch. In my examples, I have used a chunky weight yarn, bulky 5, and I will probably use about 150 yards of yarn to get the length that I want. 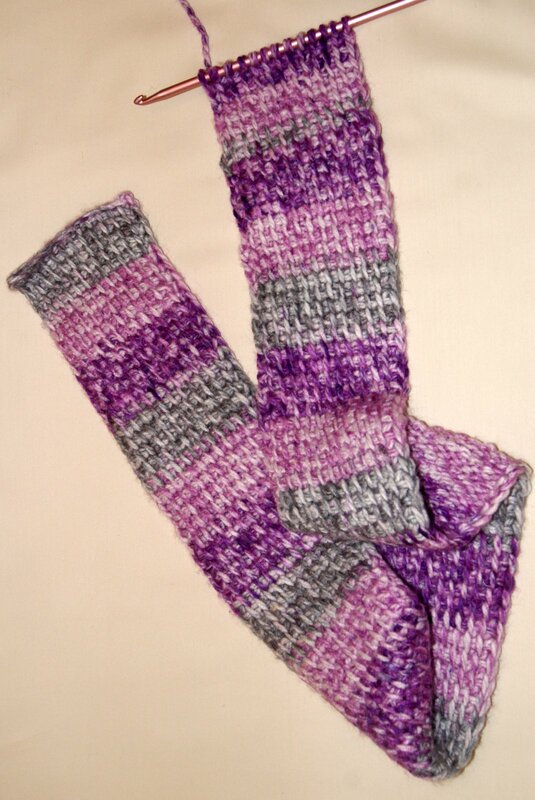 I always like to be able to double my scarf to form a loop and pull the other end through. The way you hold your crochet hook is a very personal thing. The most important thing to remember is not to grip it so hard that your hand muscles and fingers become exhausted. To me, that takes the fun out of crocheting!! Just a light but secure grip is all that is needed. I guess first it is helpful to dissect a crochet hook. You have the point, throat, shaft, thumb rest and handle. 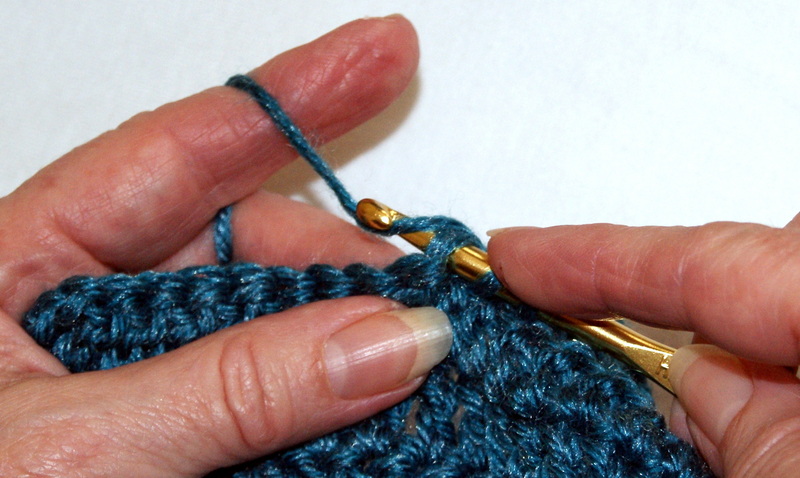 The shaft and thumb rest is where your fingers will always be when crocheting. 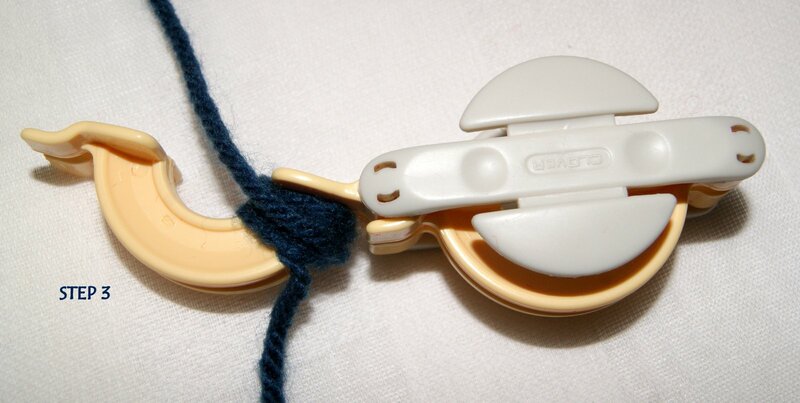 The point and throat are where you actually make your stitches and the handle is basically there for balance. My grandmother originally taught me how to crochet but being the only left-handed person in my family, she could only teach me how to hold the hook like a right-handed crocheter. Actually, I have found that holding and working the crochet hook in my right hand and controlling the yarn with my left hand really is much easier for me because the hook movement is just a repetitive motion but keeping the tension and working with the yarn requires more control. Using my left hand for the more intricate work (which is my stronger and more coordinated hand) works great for me!! You will probably crochet using either a Pencil Grip or a Knife Grip. I use the knife grip when I crochet and find it very comfortable and easy for me. 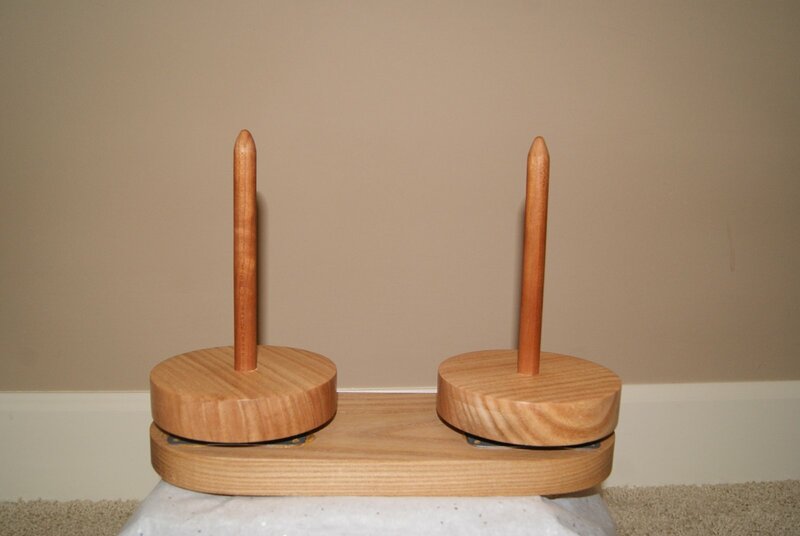 With my right hand, I place my thumb on the front of the thumb rest which will be facing me, place my index finger onto the shaft and hold the back of the thumb rest against my middle finger. The handle will just lay against my ring finger and the palm. There is very little movement of my fingers on my right hand when I crochet. 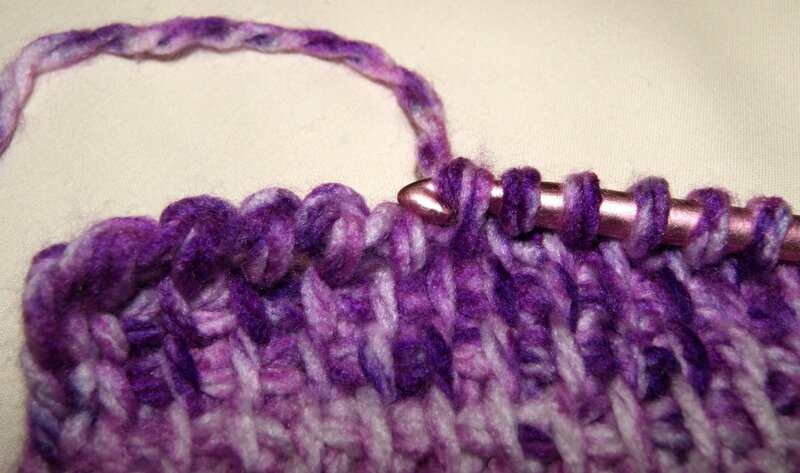 I slightly move my index finger along the shaft to help hold the loops in place as I make my stitches and that is it. Now my left hand does a lot more work for me. 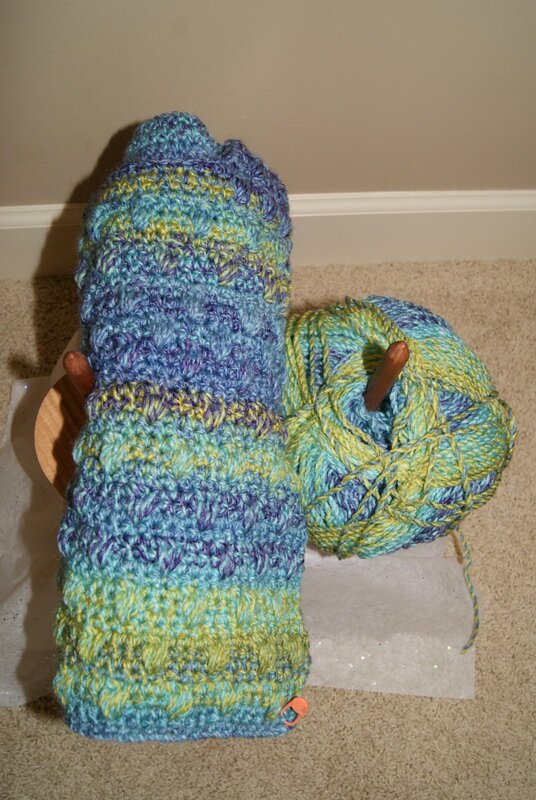 I personally like to wrap the yarn around several fingers to get good tension on the yarn. 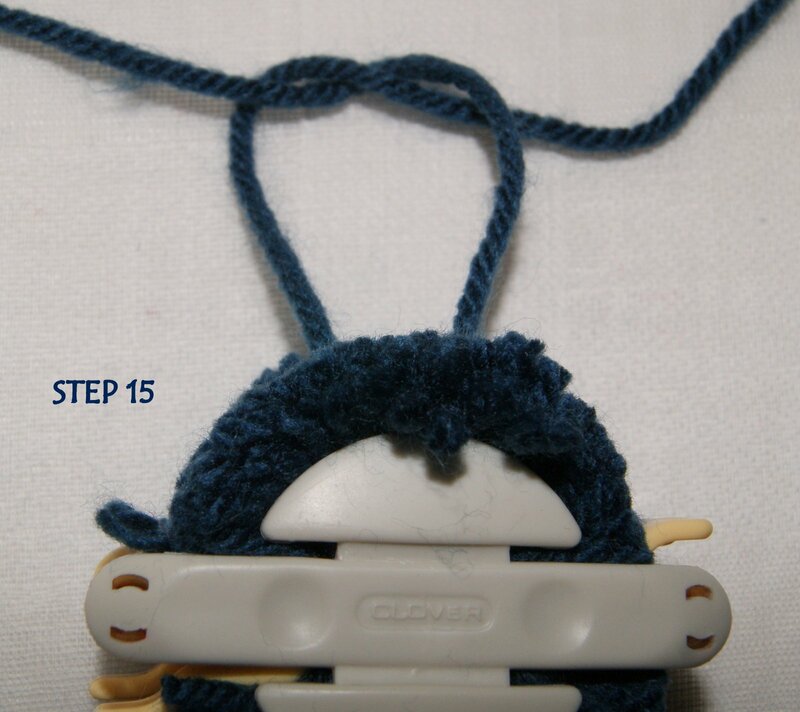 I will place the yarn under my pinky finger, over my ring finger, under my middle finger and over my index finger. My crochet piece will be held in place using my middle finger and thumb with my ring finger and pinky helping to hold ever so slightly. My index finger on my left hand does all the work. 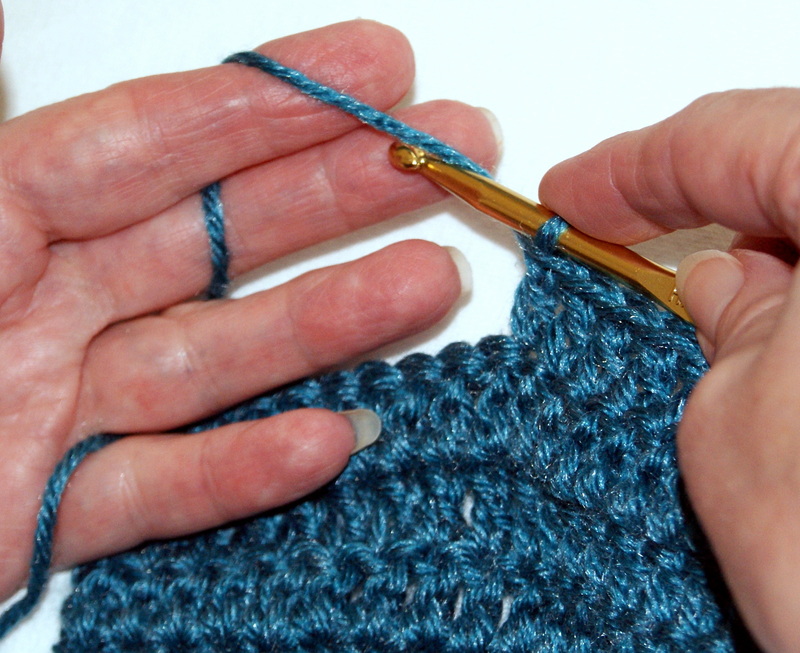 I yarn over onto the hook with my left index finger, push the point of the crochet hook through the proper loops using my right hand and bracing with my left middle finger, guiding with my left thumb, and using my left ring finger and pinky as support. I have great success crocheting in this manner. I don’t know if this is the motion a true right-handed crocheter uses but I have found this a very workable method for me and I am a very left-handed individual. I even use my left foot to push the pedal on my sewing machine!! Keep practicing and work on what is really comfortable for you when crocheting. Hopefully, this will give you some guidelines whether you are right or left-handed for holding your hook and work. 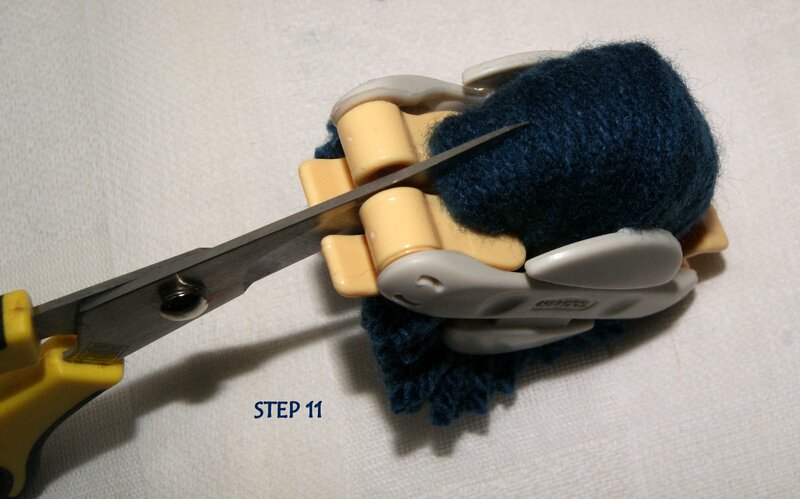 I know there are some good directions for left-handed crocheting if this method doesn’t work for you. Give it a try, you might like it!! 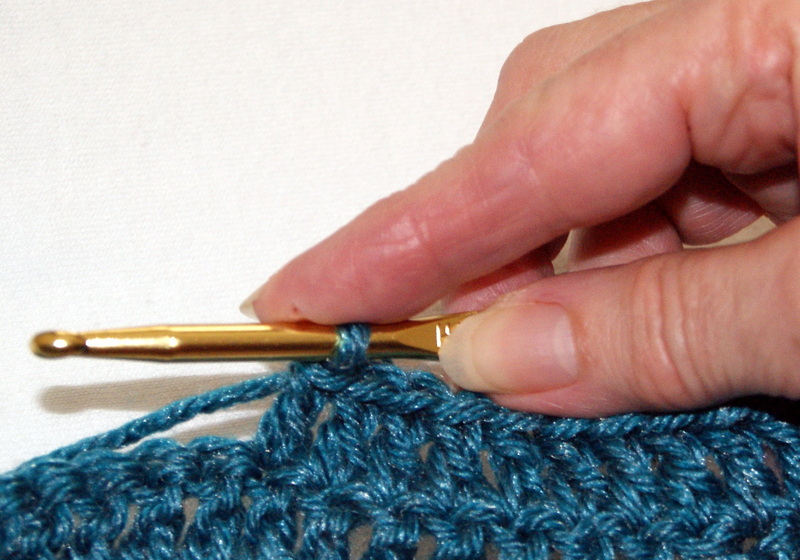 TIP: If you are really a beginner or if you are trying to teach a youngster how to crochet, I would suggest that you only wrap the yarn over your left index finger as your tension guide until you get the feel of both hands and yarn working together. After you feel comfortable with practice, then proceed to weave the yarn around the additional fingers on your left hand. Doing the BACK STITCH is another method for joining seams as well as for adding decorative appliques or pockets to your crochet project. This is also a great opportunity to use a contrasting color of yarn to make your applique or pocket designs really stand out. To do the Back Stitch for a seam, you will need to place your two pieces that need joining with the right sides together and hold it with one side (called the front) facing you and the other side (called the back) facing away from you. Thread your yarning needle and pull the needle through both loops on both pieces leaving about a 4″ tail, I like to insert my needle again in that first stitch to help secure my thread. Stitching from the front of your joining seam that would be facing you, insert your needle into the next stitch going through both loops on both pieces, pull snuggly. Skip the next stitch and insert from the back to the front through both loops on both pieces and pull your needle to the front. 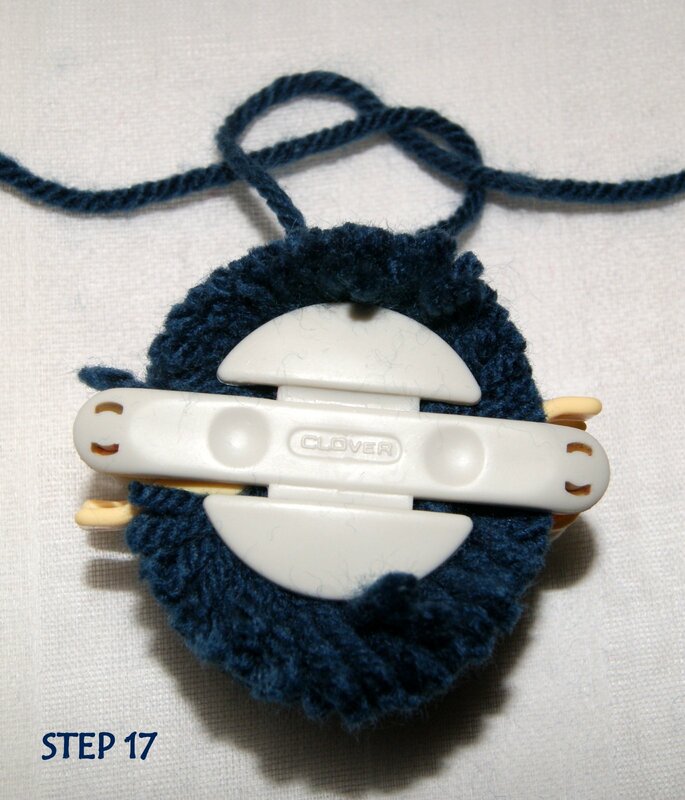 Now, insert your needle from the front to the back through both loops on both pieces through the skipped stitch. 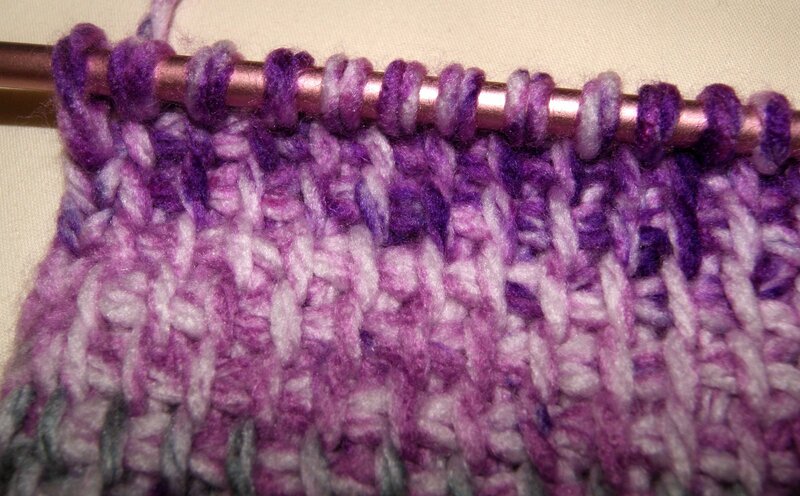 Continue this pattern until you have completed your joining seam. Preparing your crochet project for a decorative applique or outer pocket remember to place your applique/pocket with the wrong side down onto the right side of your crochet project. Figure out where you would like the applique/pocket to be placed or follow recommended directions from your pattern and pin your applique/pocket into place. I use long-stemmed quilting pins with the round, glass ball ends (not with the flower end because the flower design will catch onto your yarn and maybe pull it). Of course, if you have a very small item you are attaching to your piece, use smaller stemmed pins with the round ball tops. Once you have your applique/pocket pinned to your project, you can begin doing the back stitch but this time you will need to insert from the back of your project leaving a 4″ tail, coming out the front of your applique/pocket. Insert your needle from the front to the back in the very next stitch. 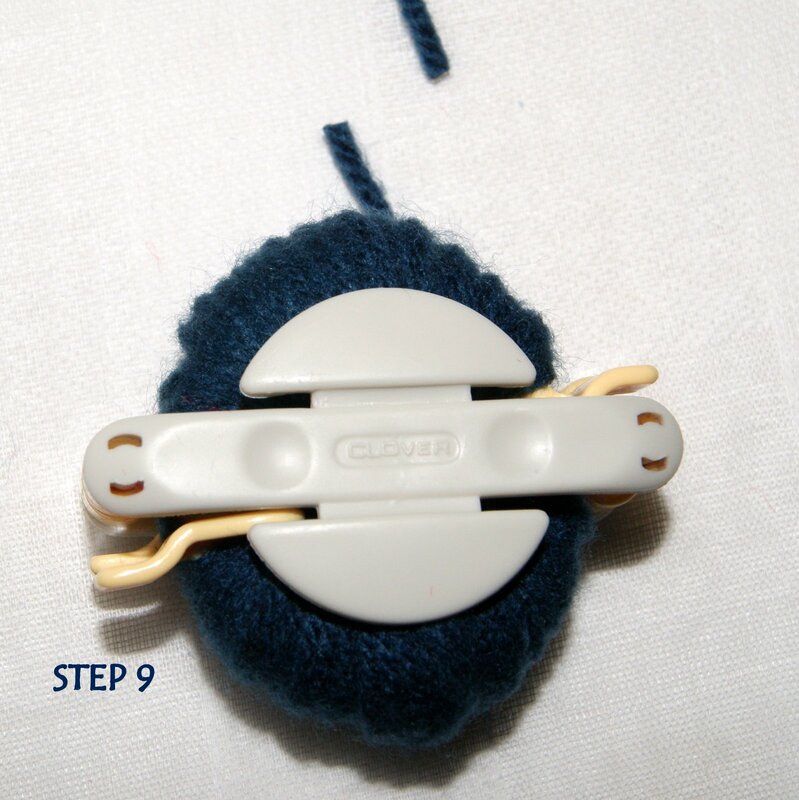 Now you will skip the next stitch, insert needle from the back to the front. Now insert again from the front going through the stitch that you just skipped. Continue with this process until you are done. Don’t knot, leave a tail and weave both beginning tail and ending tail through your crochet stitches. You can always attach your applique/pocket with a straight running stitch or whip stitch too. It all depends upon the look you are achieving and how durable your item needs to be held in place. *TIP: Update an old sweater or hat with a funky crochet applique. Teach a simple crochet motif to a youngster and let them update a piece of clothing or attach to a headband or barrette. Adding your own personal touches to a store-bought item definitely makes it uniquely yours. My Complete Profile / Proudly powered by WordPress Theme: Bouquet.